Patented semi-rigid Shock Transfer Core design provides ultimate protection, fit and lower jaw stability in a compact size for easier breathing and speaking. Shock Transfer Core provides concussion and jaw joint protection. Features include high-performance compact size, lateral jaw stabilizers, compression fit system, M.O.R.A. performance enhancement, Shock Transfer Core and air-cushioned shock pads. Email your friend about the Power Gel DNA Mouthguard. 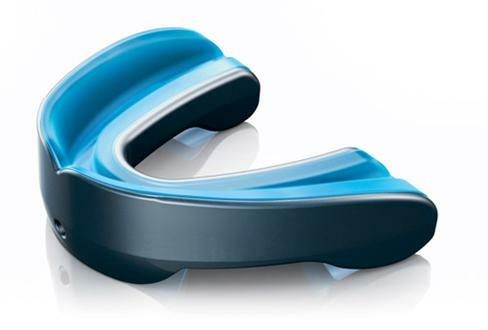 Ask a question about the Power Gel DNA Mouthguard.